The Double Trouble Jigging lure is balanced and all the action in the jig is delivered by you. These lures sit level in the water and can be jigged fast or slow. They are just about tangle free when jigging. With the thin width there is less water resistance. 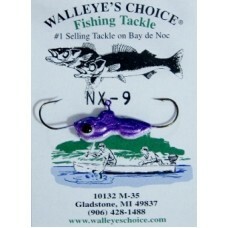 This is a great lure for vertical jigging. 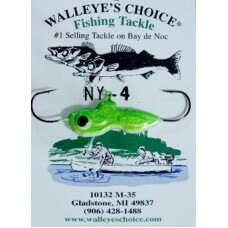 Walleye's Choice Fishing Tackle is committed to Help More People Catch More Fish. The Double Trouble Jig has Great Colors and Finish. It's action comes from the person at the end of ..